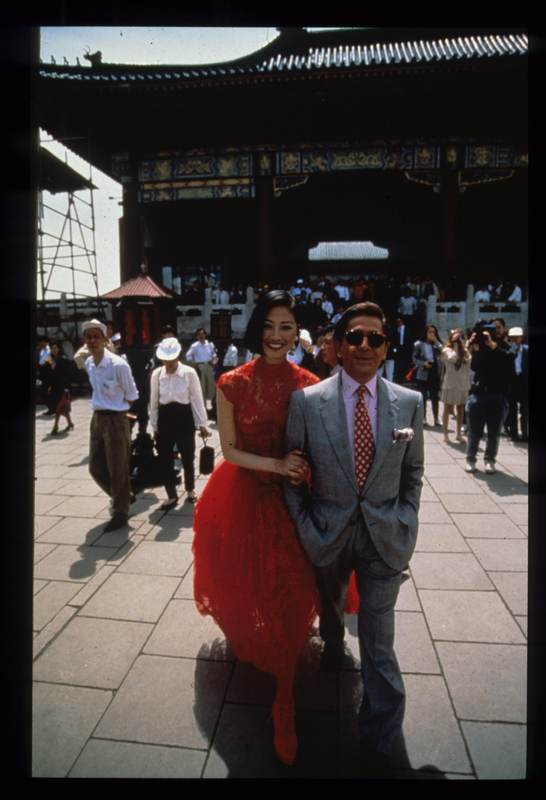 Mr. Valentino made his first trip to China 1993, to stage a special fashion show in Beijing. Prior to that, however, he’d traveled there many times, at least in his imagination. 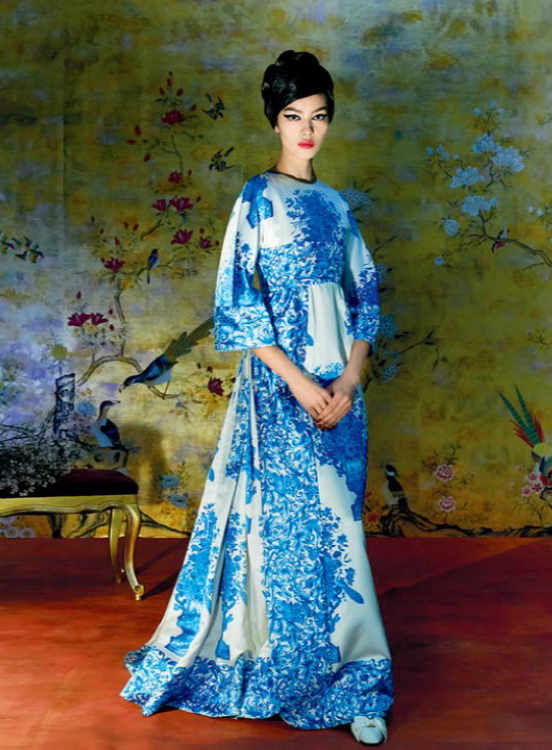 The décor at the Chateau de Wideville is a testament to Mr. Valentino’s longtime love of chinoiserie, and his interest in the art and aesthetics of China has frequently been revealed in his designs. 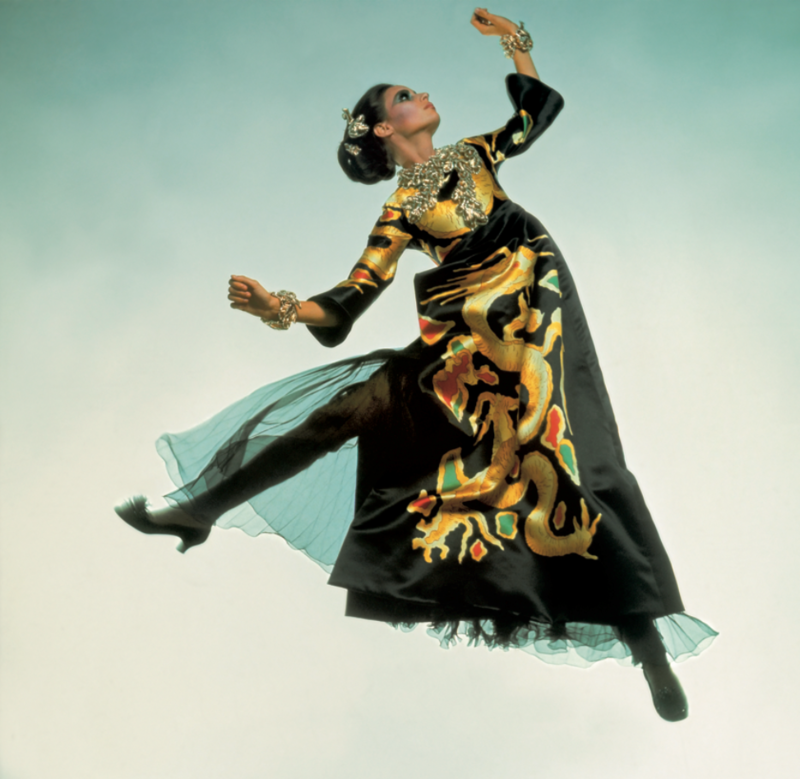 To wit, there are numerous pieces from the Valentino archive included in China: Through the Looking Glass, the major exhibition just opened at the Anna Wintour Costume Center at New York’s Metropolitan Museum of Art. The fact that the Chateau de Wideville is home to much of Mr. Valentino’s collection of chinoiserie is apropos: As Leslie Camhi points out in the current issue of American Vogue, “many of the garden motifs we associate with China were first popularized in the West by the aristocracy of France.” And Mr. Valentino seized on these for his Autumn/Winter 1968/1969 Haute Couture collection, creating, for instance, a long-sleeve gown in a blue-and-white willow print. 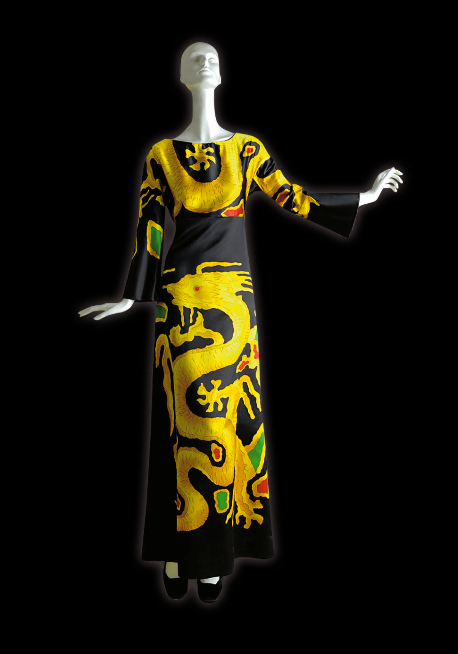 That collection also included a stunning floor-length tunic of black silk with a bold, gold-hued griffon print. Gian Paolo Barbieri took an extraordinary shot of the look for Vogue Italia. Years later, Mr. Valentino would return to the China theme: Another ensemble featured in the Met exhibition is his silk-satin and organza suit, embroidered in the style of a traditional Chinese textile, from the Autumn/Winter 1990/1991 Haute Couture collection. The exhibition also features a few of the elaborate, pagoda-inspired hats from Valentino’s Autumn/Winter 1993/1994 Haute Couture show. As Bernadine Morris wrote in her review of the collection in the New York Times, Mr. Valentino was revisiting Chinese aesthetics following his trip to Beijing, paying tribute via “quilted coats stitched in Chinese motifs, wide calf-length trousers, pagoda hats and hair worn in a single braid down the back.” These, she said, “were clues to the Far East. But the designer aimed at evoking the spirit of China, he said, not reproducing any specific style.” Indeed, Mr. Valentino never reduced himself to pastiche. A mandarin collar in his hands was always irreducibly Valentino-esque. His was the best kind of appropriation.